The view down the tunnel. WOW Carwash opened its doors for business in Littleton, CO on June 14, 2017, marking the occasion with a grand opening celebration. For consumers the good cheer continued for the following 10 days, as the wash endeavored to introduce its services to the community by giving away free washes. 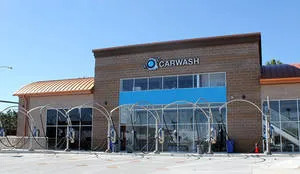 From drawings and construction of their self-designed building to equipment supply and installation, WOW Carwash teamed up with Aaron Green and Billy Tillotson of Denver-headquartered Focused Carwash Solutions. 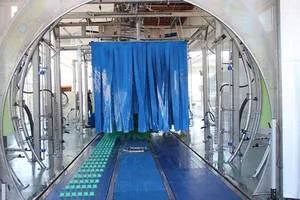 The wash features a 100-foot dual belt AVW conveyor inside a 110-foot building, with equipment by AVW and Tommy Car Wash Systems. There are Dosatron chemical pumping stations, an Innovative Control Systems point of sale system, and seven free AVW vacuum stations. 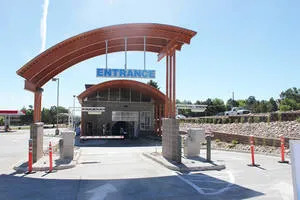 Open daily from 7:00 a.m. to 7:00 p.m., the upscale express exterior wash is located at 11737 W. Ken Caryl Avenue sharing space in a shopping plaza with a King Sooper grocery store that features one of the area’s busiest gas stations. Other traffic generators in the plaza include a Dairy Queen and a Subway sandwich shop. One block to the west is another shopping plaza, this one anchored by a Safeway store, which has as its neighbors, among others, a Chipotle Mexican Grill, a McDonald’s, and a Starbucks. Daily traffic count on Ken Caryl is about 32,000 cars, but taking into account traffic on the intersecting cross street ups that number to 45,000. Ken Caryl also leads to the on/off ramps of highway 470, a short distance to the west, making the thoroughfare an important commuter route. 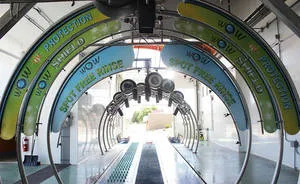 Besides the tunnel, the facility features free vacuum stations and a mat cleaner available to all customers. Wash club memberships allow subscribers to wash as frequently as they like for one low monthly price. 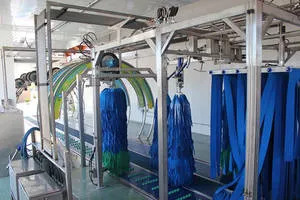 “We take pride in providing a fast and clean exterior car wash experience with a friendly service that will turn our community neighbors into ongoing customers,” said Julie Petty, co-owner of WOW Carwash.